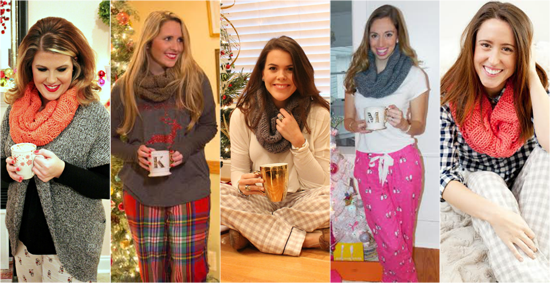 Excited to be linking up some of my favorite blogger babes to show you how we do comfy & cute Christmas Morning PJs. I've never been the kid waking up at the crack of dawn to open my Christmas presents. I always knew that the gifts would still be there even if I rolled out of bed around noon, & it just KILLED my sister! Now coffee & cute PJs help me get out bed looking fresh on Christmas Morning. 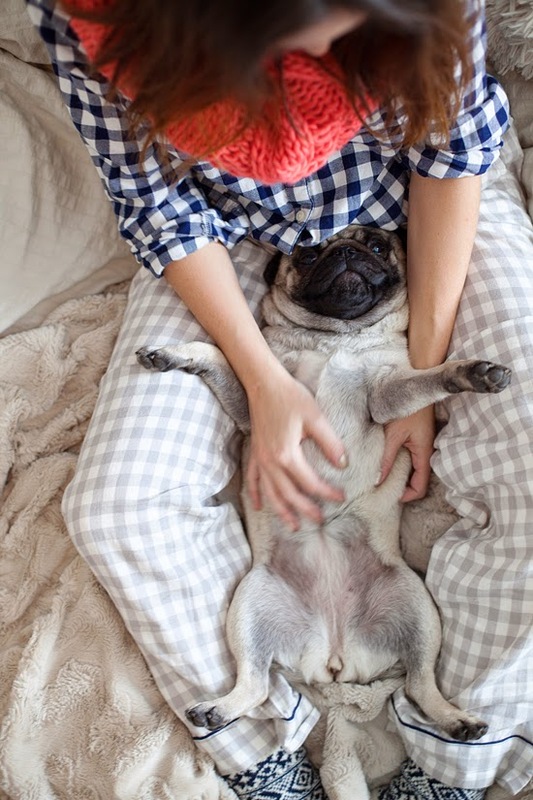 Aww, such a lovely and cozy photos, you look so sweet! 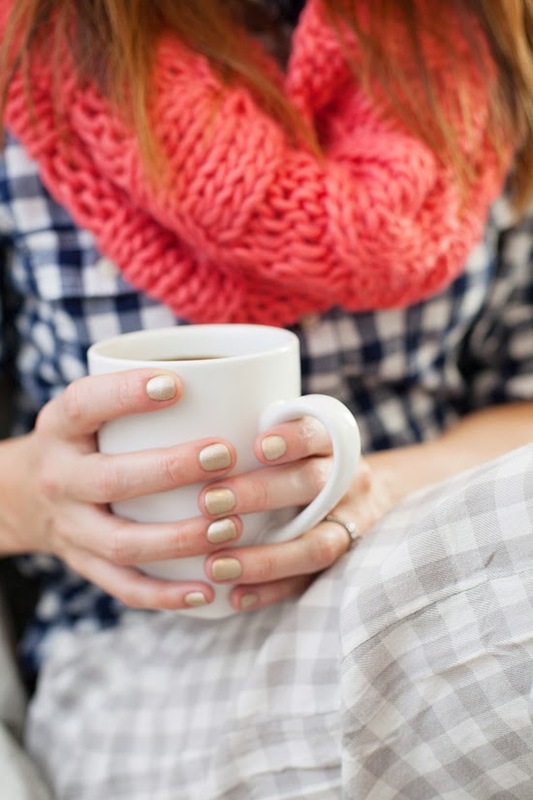 love that nail polish! what is it? your puppy are so cute. Pups and pjs, it gets no better! 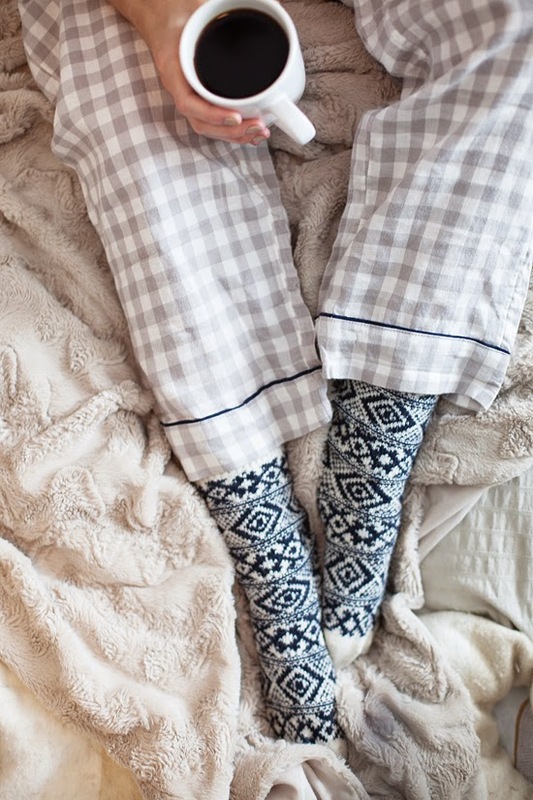 I looove late pj mornings in the winter :) Those pj's look so comfy! 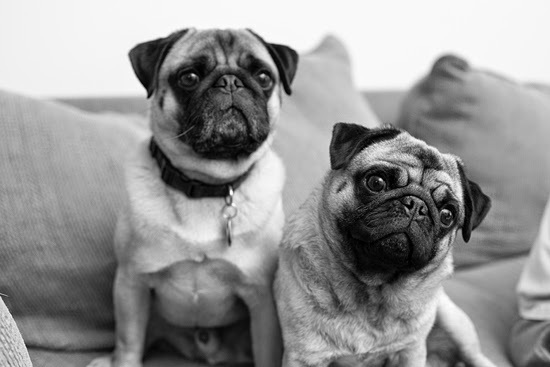 Love seeing the pugs again!!! such cute pj's and love your puppy!! So cute! 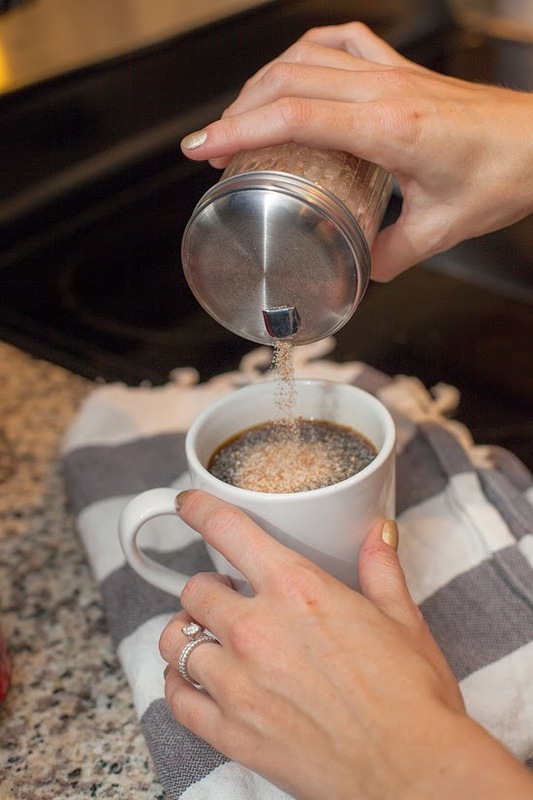 Thanks for sharing the recipe too, I will definitely be trying that out soon! 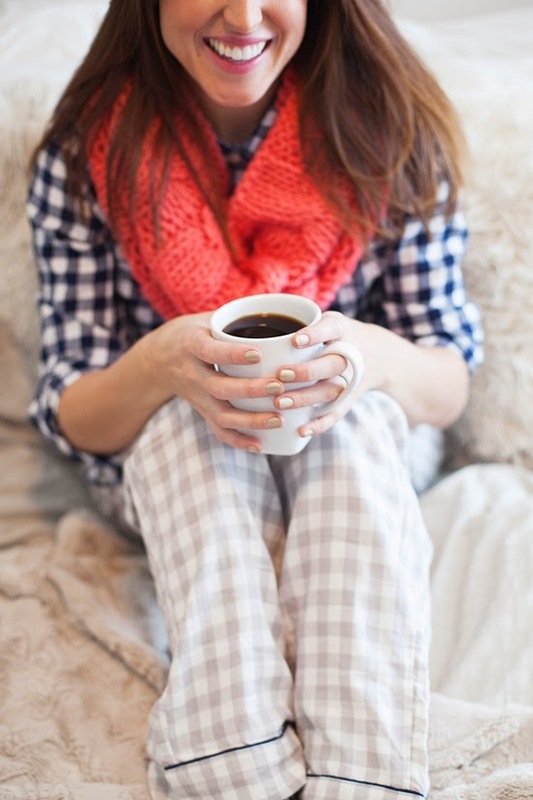 I love the mixing of plaids! The grey and navy are so nice together. Yep. You were always a late sleeper, even as a child. Perhaps because as a child you stayed up late singing and shining your flashlight around. LYLAKBLE. Those are great socks.